Look for the return of these birds to our area in March. Males are vivid, deep blue above and rusty on the throat or breast. 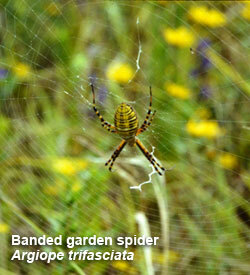 They live in meadows surrounded by trees that offer nesting holes. Bluebirds have struggled to survive due to loss of nesting sites. You can help by putting up a proper nesting box. Bluebirds need an open grassy habitat. They need places to perch like trees, bushes or a clothesline. Look for these birds at local preserves like the Elkhorn Creek Biodiversity Preserve. Sponsored in part by the National Audubon Society, The Great Backyard Bird Count (GBBC) is an annual four-day event that engages bird watchers of all ages in counting birds to create a real-time snapshot of winter bird populations. 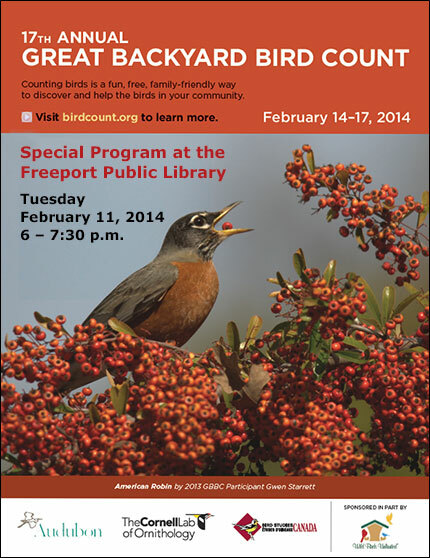 The GBBC will be held Friday, February 14, through Monday, February 17, 2014. Participants are asked to count birds for as little as 15 minutes on one or more days of the event and report their findings online. As one watcher reported, “This count is so fun because anyone can take part – and we all learn and watch birds together...” On the www.birdcount.org website, you can explore real-time maps and charts that show what others are reporting during and after the count. All participants are entered in a drawing for prizes that include bird feeders, binoculars, books, CDs, and many other great products. Check out our calendar of activities for the February 11th event held at the Freeport Public Library. We are holding a special program to encourage people to learn more about birds by participating in the Great Backyard Bird Count. It’s a great program for the whole family! Want to attract the bluebird? Build it and they will come! Building bluebird nest boxes is a great way to help conserve birds at the local level. Boxes are readily available at most home improvement stores or you can check out lots of nest plans at www.birdwatching-bliss.com and build it yourself. 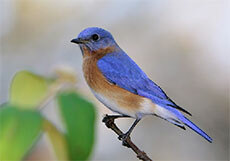 Limit pesticide use; bluebirds diet consists of insects which can be affected by pesticides. No perch! Perches encourage predators and the birds don’t need them. Houses should be put up at the end of February or early March. Make sure boxes are 200 yards apart if putting up more than one nesting box. Face the box east or northeast, away from prevailing winds. Place boxes 4–8 feet high, facing a clearing if possible. 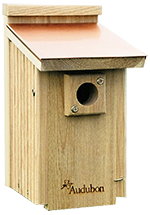 The North American Bluebird Society has very strict guidelines for monitoring nesting boxes that you should check out. Some websites have live Eastern Bluebird Webcams so you can watch babies in the nest. Do a search online. Do you have a preschool-aged child in your life? Teach them this little finger play.